We are all surrounded by doors and walls. If you are a “normal” human being, at least four walls are surrounding you where you live and for most of us – walls are hunting us in the office space as well. The common understanding for a wall back in the day was simply a vertical structure that does not allow you to walk through it or even see through it. The doors were pretty much the same – you need to press the handle and go on the other magical side. 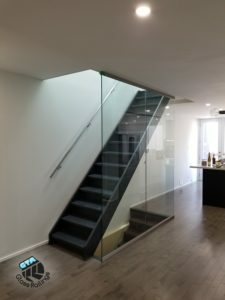 With everything improving and getting more and more modern, glass walls and doors are becoming a new, modern piece of art. Most modern business buildings have amazing in door wall structures. Working or just visiting such areas, you will see yourself trying to look through a window, which in this case will happen to be a whole wall. We have all wished to have glass walls that anyone can see in and then with a simple click of a button, the walls forbid the viewer standing outside to be sneaking on us. The word “smart” is getting more popularity each day, as it can be seen even in front of “glass walls” and “doors”. Recent studies show that if you have a glass wall, your co-workers will feel more comfortable approaching you which will help with the communication in the office. If you are in no mood to talk, you can always press the magic button. It also creates an open and honest connection with the co-workers and your clients. The phrase “behind closed doors” will mean nothing in this case. You will be completely transparent and it will be easier for them to trust you. The glass walls and doors are better investments due to the lower cost for maintenance. The glass is more durable than most materials, it is very unlikely to be outdated in a few years and it is easier to be cleaned. If you choose the double glass option for your inner walls, the noise will be substantially less as the noise reduction is amazing. If office or home have glass walls and glass doors, you would not have to worry about light during the day. Not only that, but this way your area seems more spacious. It has been proven that sunlight can improve concentration and productivity.